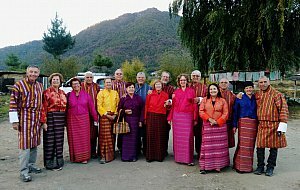 Staying connected when visiting Bhutan might be a considerable challenge. 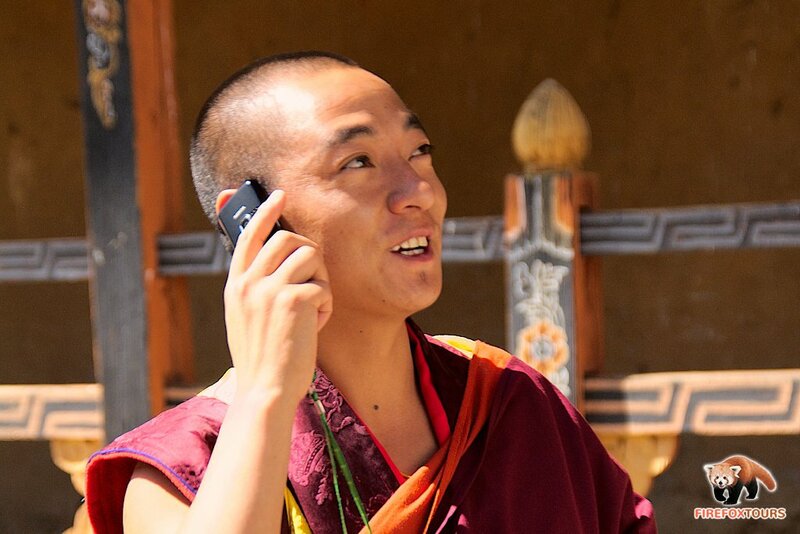 Not every phone operator has roaming agreement with one of the two Bhutanese network providers and even if they have, cost might be excessive. Getting Bhutanese SIM card is the best way to keep in touch and also save. Please read below how to get, set and use your SIM card when visiting Bhutan. There are two GSM network providers in Bhutan. First is the government owned B-mobile (Bhutan Telecom) and second is private Tashi Cell. SIM card of both companies can be purchased rather easily. Network coverage is better with B-mobile although Tashi Cell is catching up recently. The local call cost are slightly better with Tashi Cell but the difference is quite insignificant. We do recommend to get B-mobile, especially if you're traveling to less developed areas. Where to buy SIM and what you need? You can purchase special short validity tourist SIM card from the mobile operator office or from any authorized dealer. These are only present in larger towns like Paro, Thimphu or other district headquarters. You will need your passport photo page scan (sometimes they can make copy in the shop) and 200 Ngultrum (Nu). Getting SIM card purchased and activated will not take more than 15 minutes. Vendor will handle all necessities of activation process. Your SIM is charged with balance of it's nominal cost but still it's good idea to get some extra few hundreds Ngultrum for the beginning, especially if you want to call abroad or use Internet. You can either load your balance by buying recharge vouchers, which comes in 50 Nu to 500 Nu values. Please mind that in most smaller shops, they sell only 50 Nu so if you need to load more, you will have to do it one by one, which is quite boring. Some shops also do have so called e-Load facility. You just tell your phone number to the vendor and they will load your phone with the amount required. Look for general shops with e-Load signboard. No other settings are needed and once the APN is set, you data should start flowing. Data are charged per MB basis and if you're active user, it's highly recommended to get some data package, otherwise you can drain your balance rather quickly. B-mobile data package can be only activated via e-Load (as described above) by purchasing certain balance value starting from 19 Nu to 699 Nu, depending on the validity and amount of data you need. We recommend to load either 99 Nu for 860 MB or 199 Nu for 1770 MB, both packages coming with 1 month validity. See B-mobile Data Plans for other options. In case of Tashi Cell, you can activate desired data plan just by dialing certain activation code. See available packages and dial codes. Most urban areas are now fully covered with 3G and 4G signal and it's not uncommon that you get much better Internet connection from mobile phone than from the hotel's wi-fi. On the other hand, the village areas and the road network is either having just 2G with painfully slow Internet or nothing. So if you're planning trekking and you can't afford to stay off-grid for few days, you still should think about getting satellite phone. Our guide Vim contributed a lot to the success of our visit and so did our driver Lotte. We enjoyed very much this unique and interesting country, its beautiful people and their way of life.